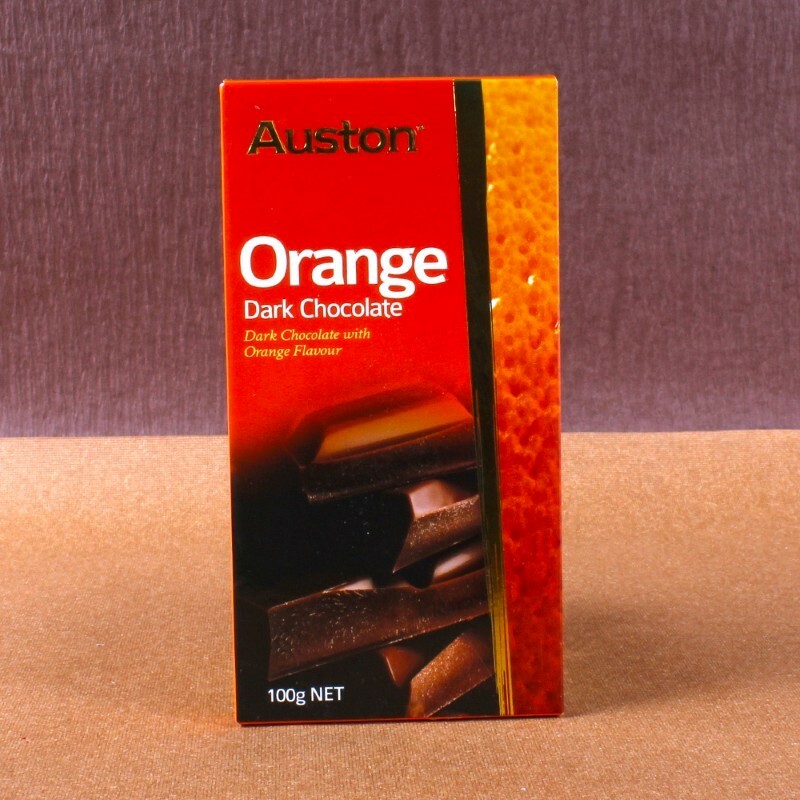 Product Consists : Auston Orange Flavour Dark Chocolate Bar (Weight : 100 gms). Gift this extremely delicious Dark chocolate gift box to your loved one as an expression of your love. 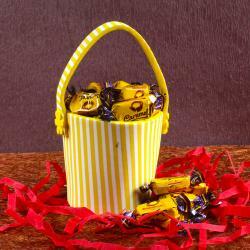 The Orange flavours of the chocolates will create a magic and your message will be conveyed beautifully. The Dark Orange chocolate has a very soothing taste of orange and melts beautifully across the tongue. 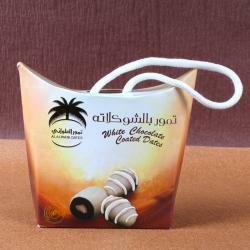 The Dark chocolate with crunchy feel will open the heart of your loved one. 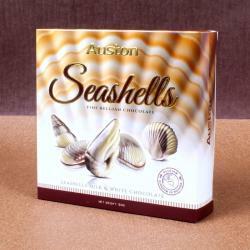 Delight your brother and family with sweetness of Auston Dark Orange Chocolates imported from Malaysia these Chocolates are very rich in taste. Chocolate lover will appreciate the harmonious and lingering character of this delicacy. 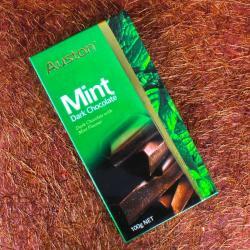 Product Include : Auston Orange Flavour Dark Chocolate Bar (Weight : 100 gms).